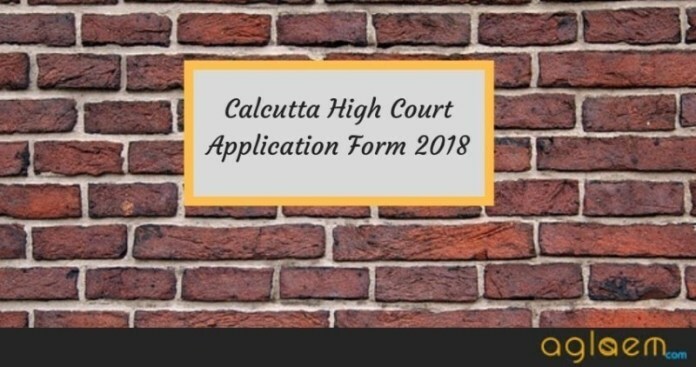 Calcutta High Court LDC Application Form 2018 – High Court of Calcutta has released the Application Form for Calcutta High Court LDC 2018 on December 20, 2018. The application form has been made available at the official website i.e. www.calcuttahighcourt.gov.in. Before or till January 17, 2019 candidates will be able to the make application fee payment and before or till January 19 candidates will be able to submit their application form. 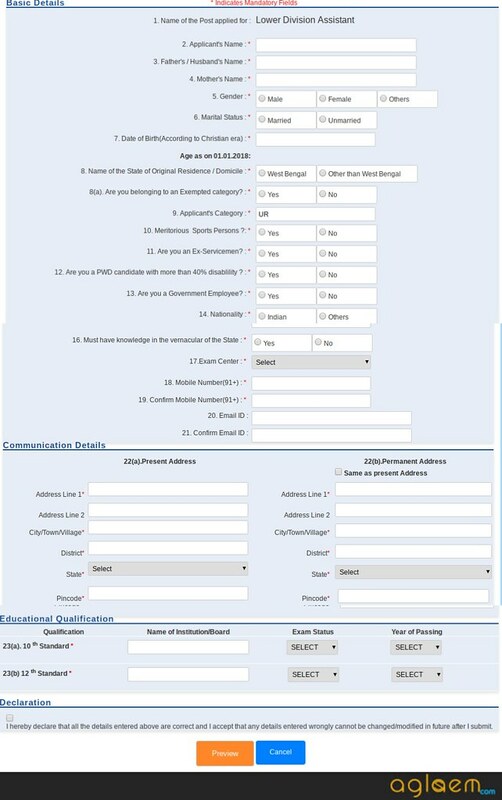 The online applications are invited from eligible Indian citizens possessing knowledge in the Vernacular of the state for preparation of a panel for filling up the vacancies of 200 posts of Lower Division Assistant on the original side and Appellate side establishments of the High Court at Calcutta. In order to grasp more information about Calcutta High Court LDC Application Form 2018, candidates can go through this article. Latest: Calcutta High Court LDC Application Form 2018 has been released. Check the same from below. Apply Online: Click here to apply for Calcutta High Court LDC 2018. Candidates can look at the information given below to know about the application fee of Calcutta High Court LDC 2018. All other categories and sub – categories of candidates mentioned in the classification of vacancies Rs 500 + Bank Charges. No fee to be paid by the candidates belonging to Exempted categories and ex – servicemen categories whose names will be sponsored by the appropriate authorities. For payment of fee through Debit Card of any “bank charge” is not required to be paid. However, for other modes of online payment, bank charges have to be paid. Mode of Payment: There are two modes in which candidates can pay the fees namely online mode and offline mode. Offline Mode: Candidates can pay the application fee by downloading the Challan from the website which has to be submitted in any Union Bank of India. An amount of Rs 24/- has to be paid as bank charge. Important Information: Fees once paid will not be refunded at any circumstances. How To Fill The Calcutta High Court LDC Application Form 2018? If the candidate is a “new user” then they will have to click on “Registration for New User” button in the online portal of Calcutta High Court after reading the “notification” carefully. On clicking on “Registration for New User”, candidates will be taken to a Registration window where candidates have to fill in the asked details. After the registration process, candidates can login using their e-mail address or username and password to fill the Calcutta High Court LDC Application Form 2018. Then enter the basic details, like name, father’s name or husband’s name, mother’s name, gender, marital status, date of birth, category, nationality, aadhar number etc. Then candidates will have to select the appropriate options in the fields asking about the Exempted category, Meritorious Sportspersons, Persons with Disabilities, Ex-Servicemen and Govt. Employees. If the candidate belongs to Exempted or Ex-Servicemen categories, the Employment Exchange details should be provided in the appropriate field. Candidates will have to select their preferred examination center from the list of the options provided in the list. After the registration stage is completed, a unique registration number will be generated which shall be used with the date of birth for all the login purposes. After the step mentioned above, candidates will have to pay the Application Fee either in the offline mode or in the online mode. Once the payment gets verified, it is mandatory for all the candidates to upload the photograph and signature of with prescribed specifications. As the last step, candidates can take a printout of the application form. Note: Candidates belonging to the state other than the State of West Bengal will be considered as only as an unreserved candidate. For sponsored candidates, it is mandatory to submit the documents relating to sponsorship during the time of document verification. PWD candidates should select the type of disability and scribe facility can be availed for Visually Handicapped candidates and candidates having Loco Motor Disability or Cerebral Palsy etc. No interpreter will be provided during the Preliminary Screening Test and Competitive Written Test. Candidates will have to keep in mind that after filling up the allotted seats in each examination center, no further allotment in that center will be allowed. The admit card for Calcutta High Court LDC 2018 will be made available over the official website which is www.calcuttahighcourt.gov.in. Candidates will observe the number of details on the admit card such as their name and address, complete timings of the examination, full address of the test center, photograph and signature of the candidate. Candidates must note that Calcutta High Court 2018 Admit Card will not be made available via post.